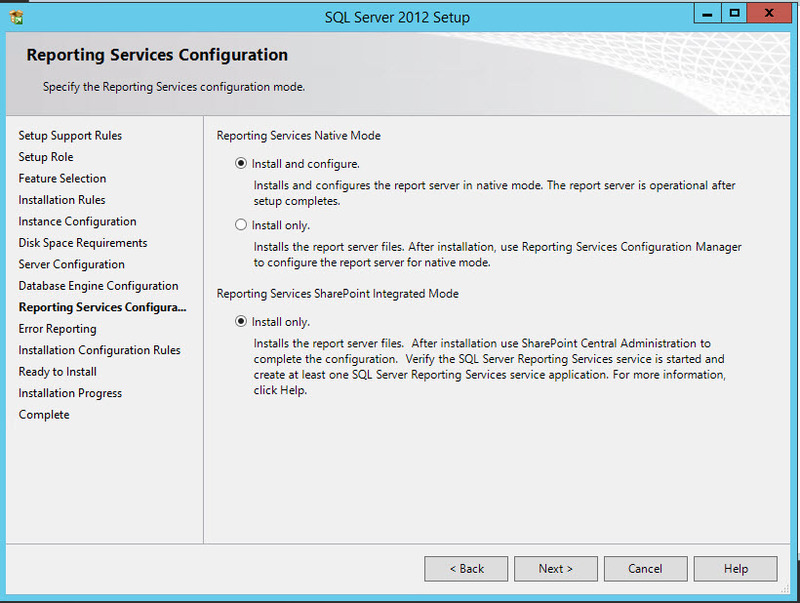 In this post, we are going to do the below steps to setup SCCM 2012 SP2 server. 3. 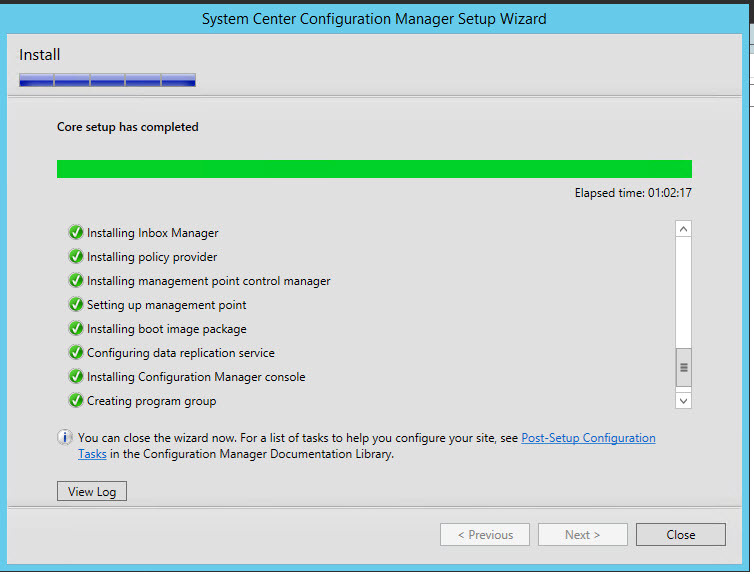 Installation of SCCM 2012 SP2. 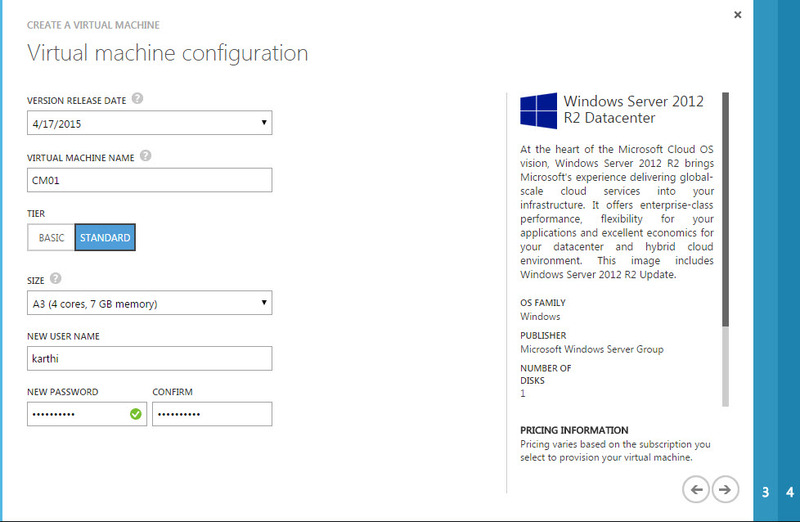 Please refer my previous post Step 3 to deploy Windows server 2012 Datacenter edition VM. 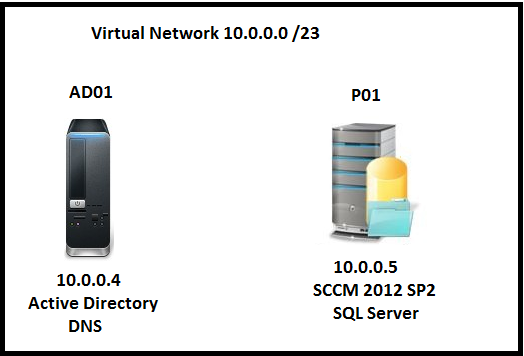 Here is the Active Directory and SCCM Server Virtual Machines information. 1. 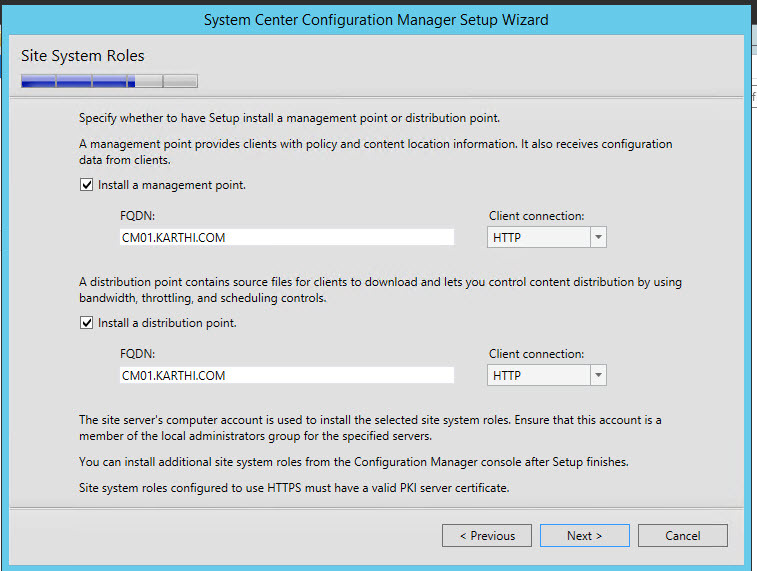 Add Roles and features on the SCCM server. 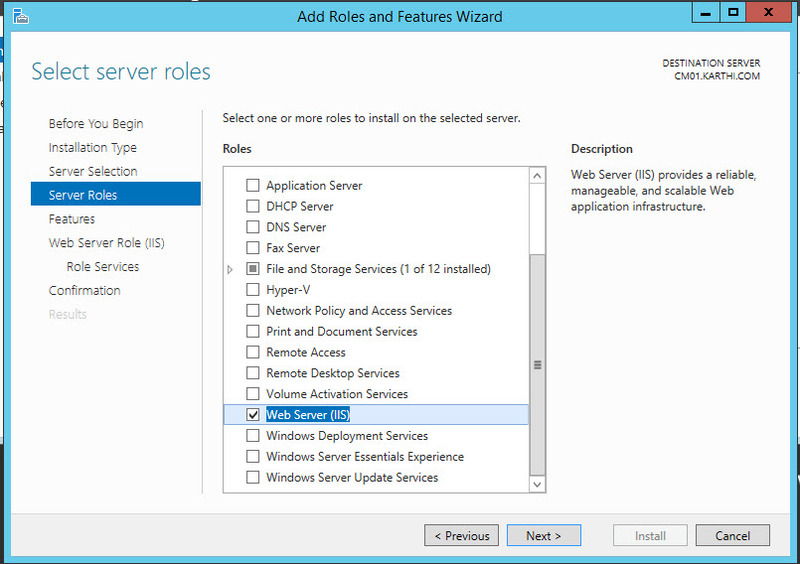 In the Server Manager, Select Add roles and featues. 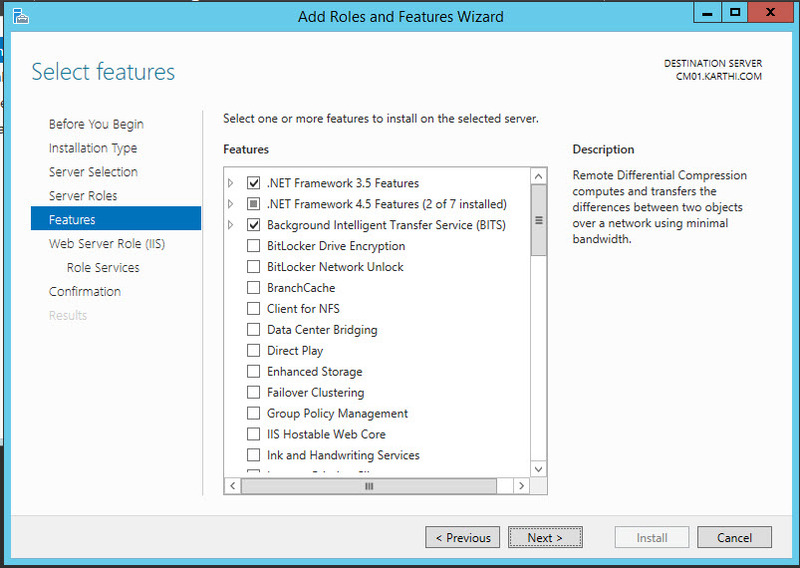 Select Web Server role and click Next. On the Features Page, Select the below features and click Next. 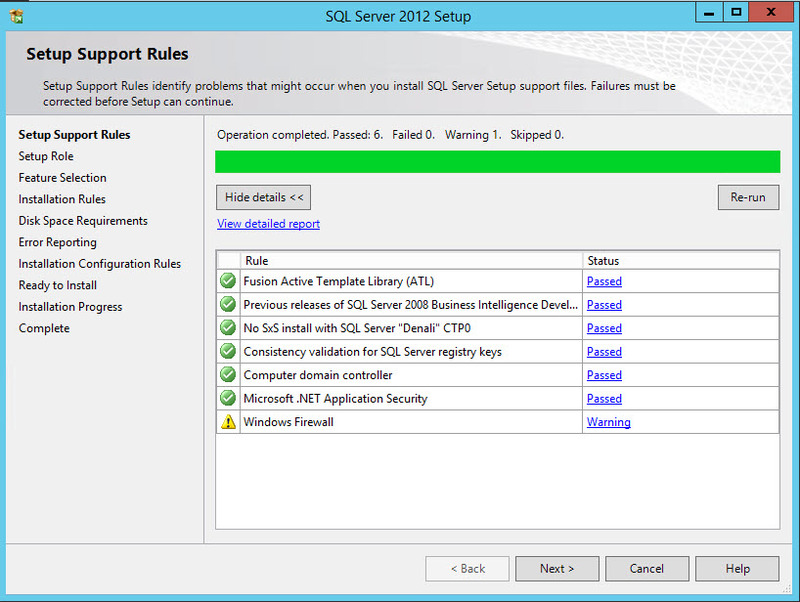 Leave other option as default check box and Click Next. 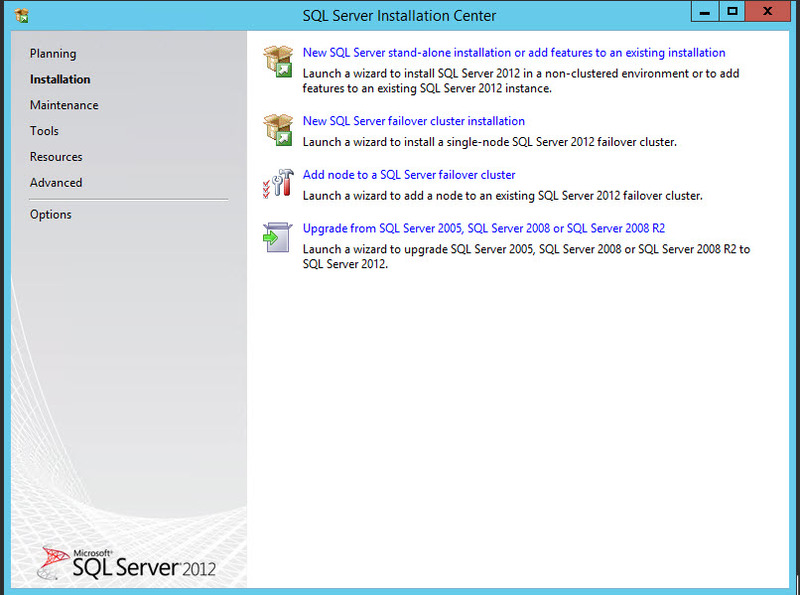 Click on the Close button Once features installation completed. 2. Download installation files and save it on C:\ Drive. 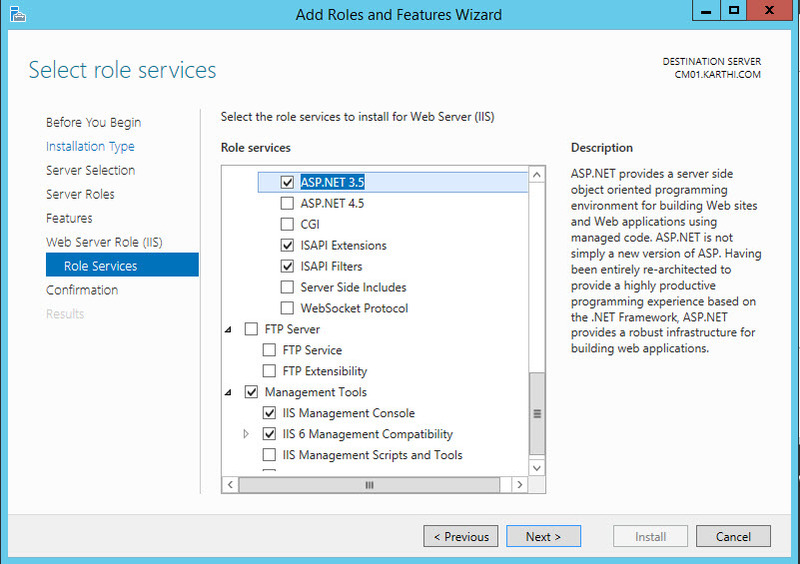 Create user accounts for SQL Service and Site System roles on the AD Server. 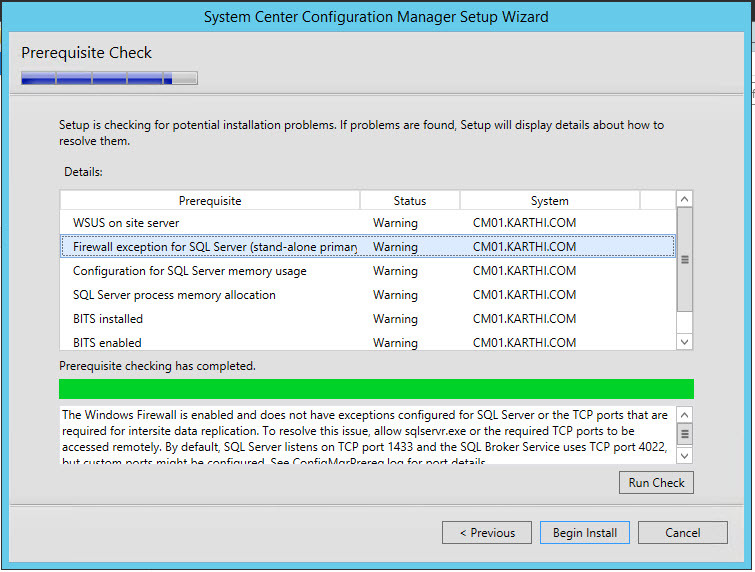 Open Command prompt in the SCCM server and navigate to the below path. Run extadsch.exe. 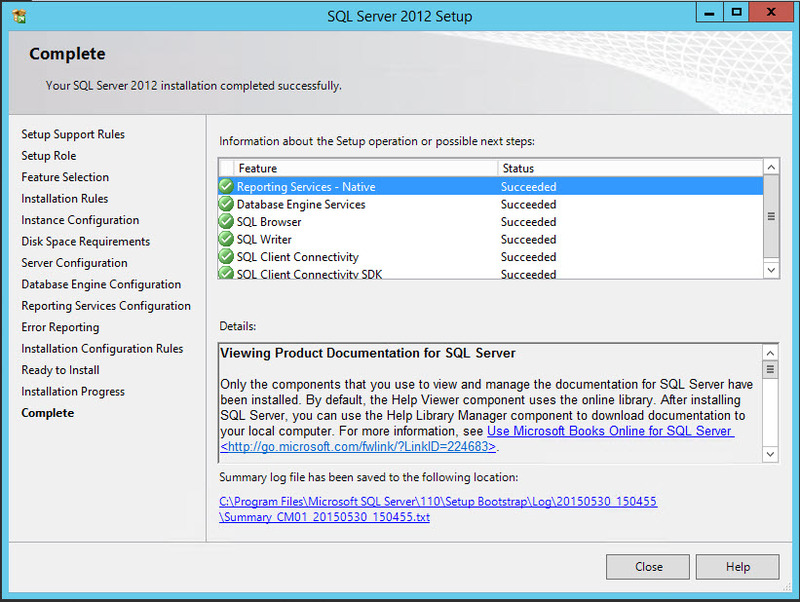 Review the log output located in C:\extadsch.log after running this command to know the result. 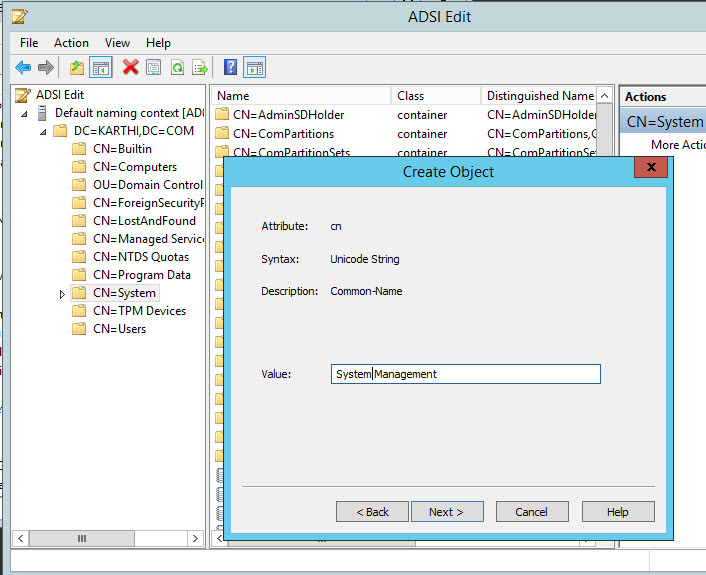 Open ADSIEDIT.MSC in AD server, Create System Management Container under System and give full control for SCCM server computer account (P01). 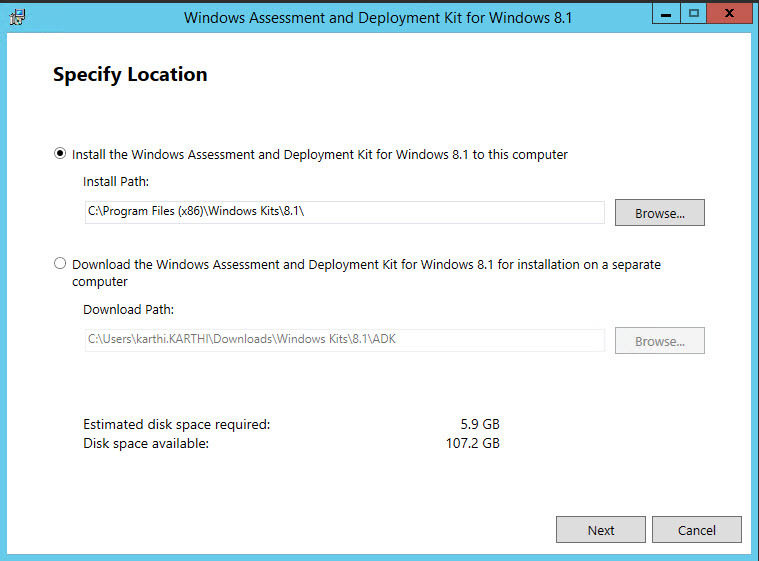 Run adksetup.exe to install the Windows Assessment and Deployment Kit. 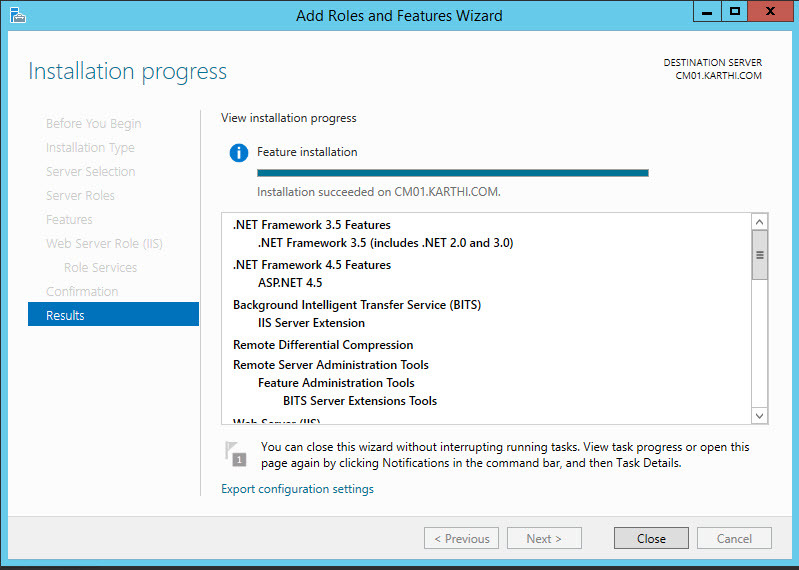 Select Deployment Tools , Windows PE, USMT and click Install. 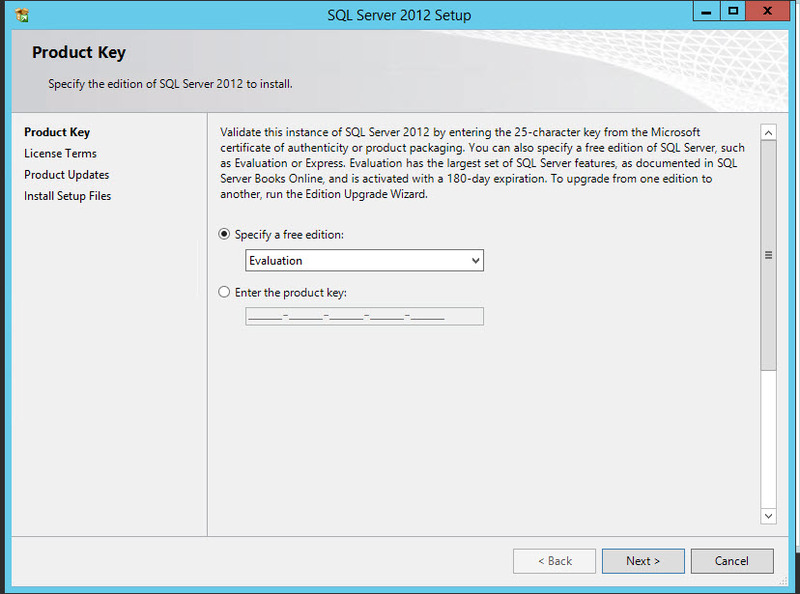 Select Evaluation since we don’t have License key and click Next. Once the verification is completed, Click Next. 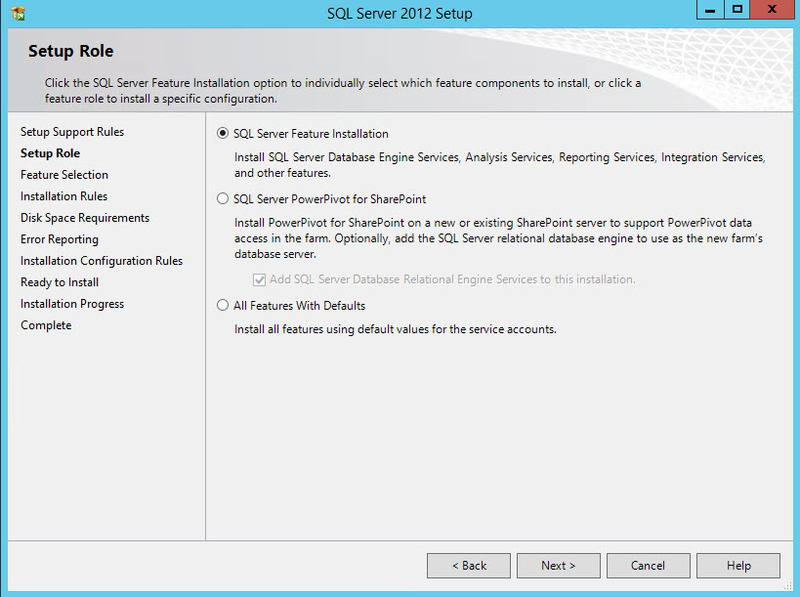 Click the SQL Server Feature Installation and click Next. 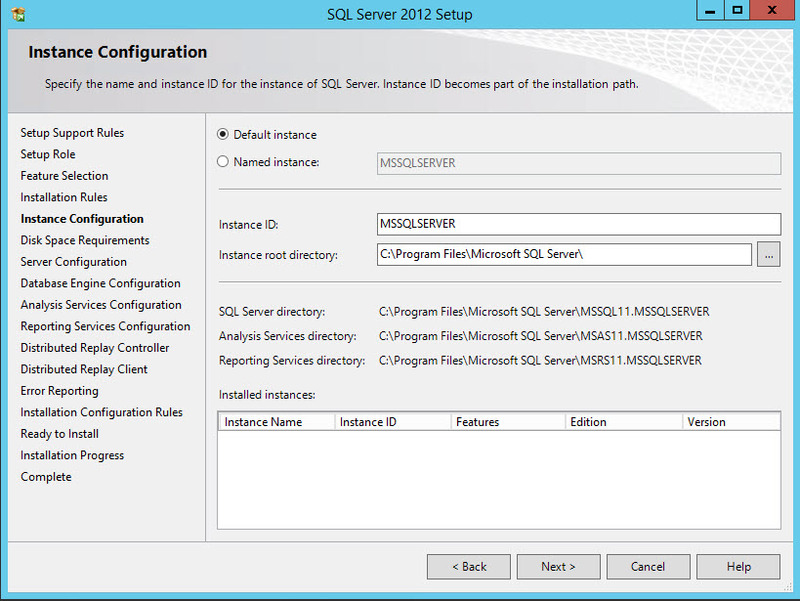 Choose Default instance and click Next. 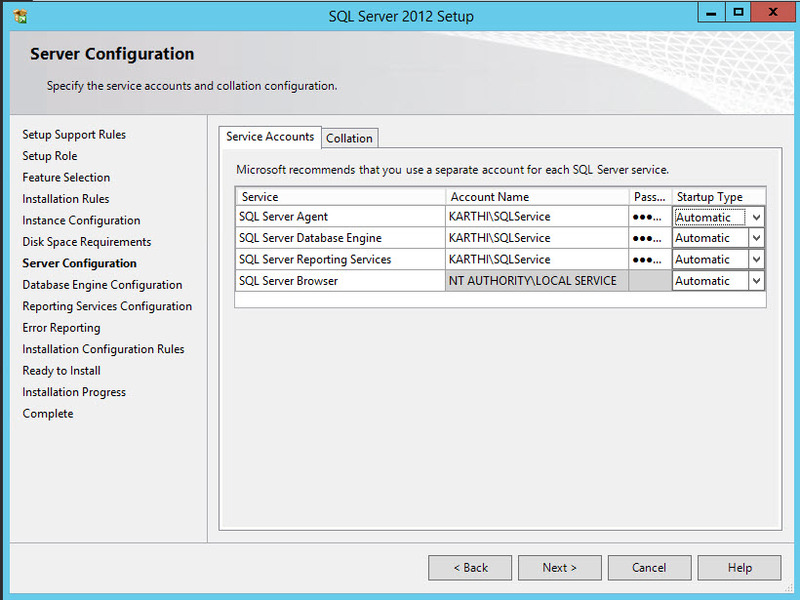 On the Server Configuration page, Change the Account Name to SQLService and enter password for 1st three services. Click Next. 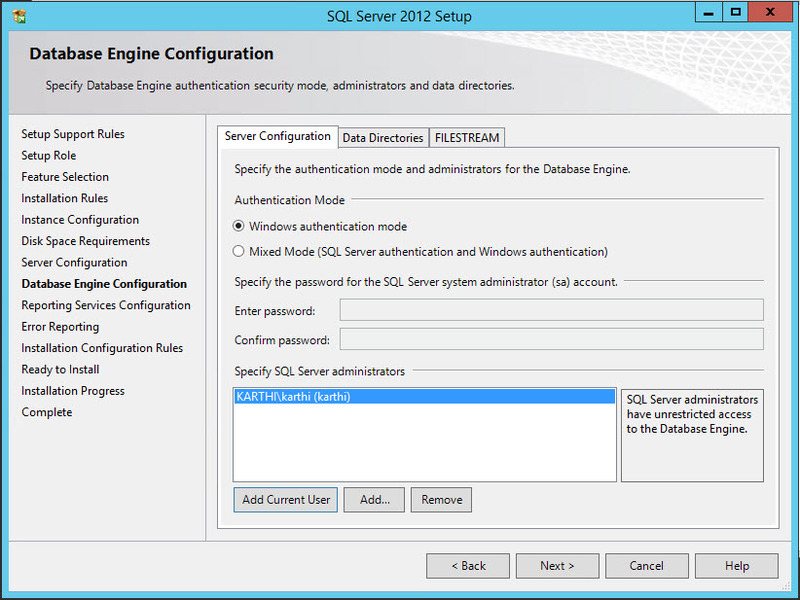 On the Database Engine Configuration page, Click Add Current user and then click Next. 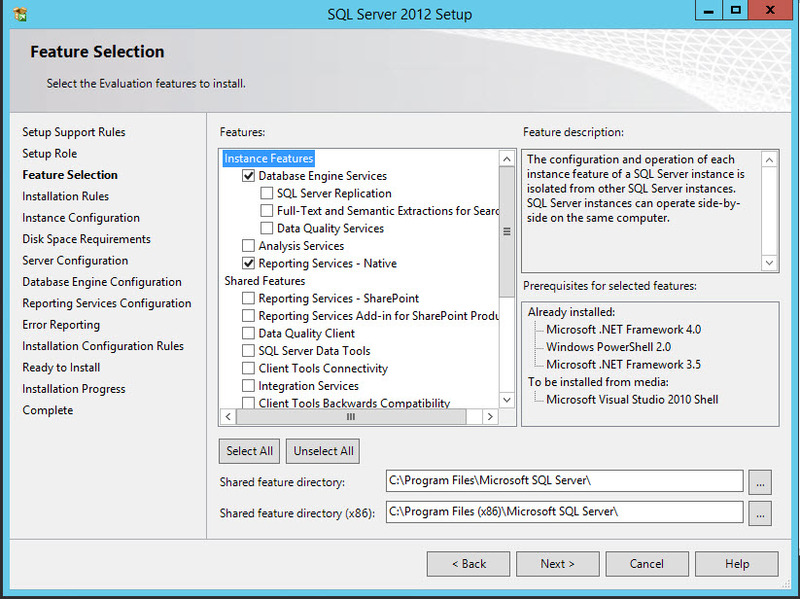 Leave options as default check box and click Next. Installation completed and close the box. 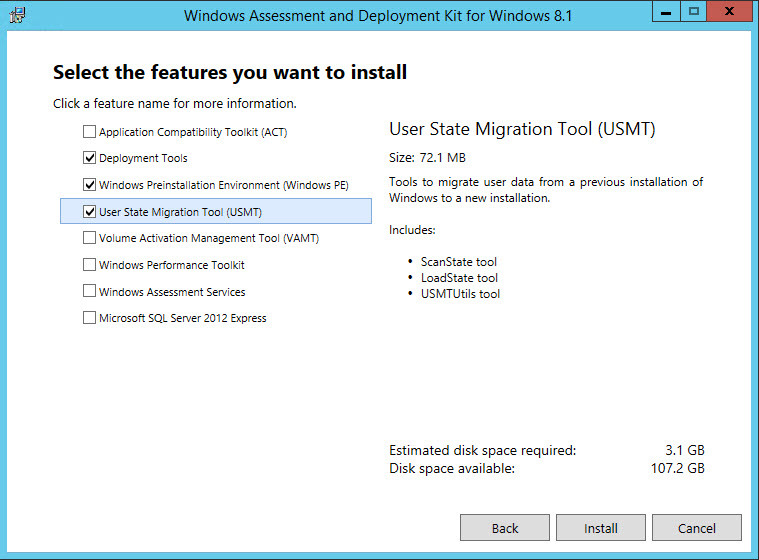 Run C:\Installation Files\SC2012_SP2_Configmgr_SCEP\splash.hta for installation. 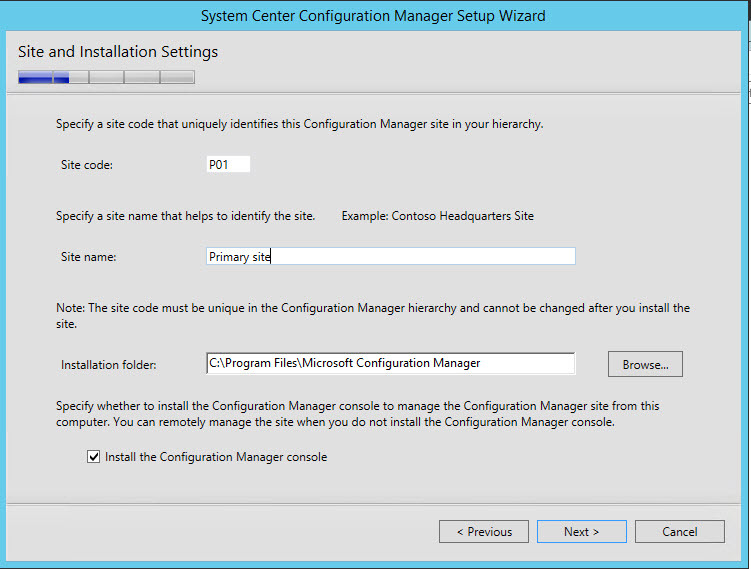 Select Install a Configuration Manager primary site to install standard-alone primary site and click Next. 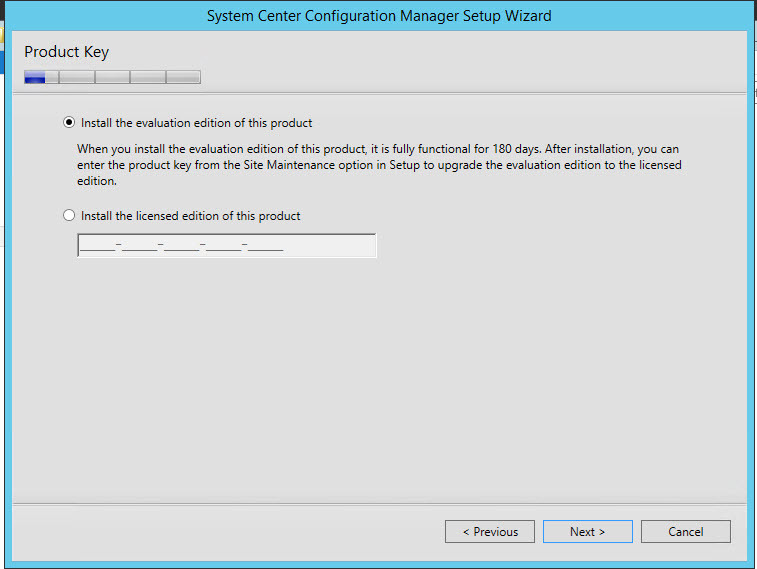 Choose the evaluation edition and click Next. 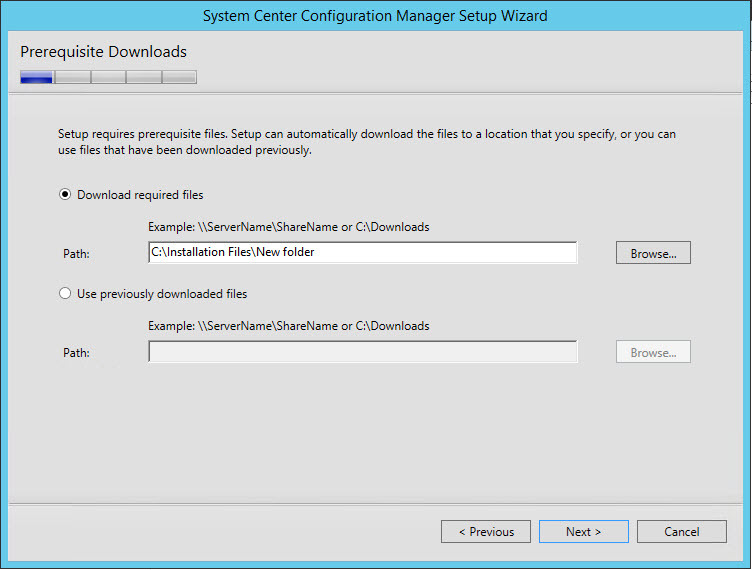 Specify the download location folder to download prerequisite files. Internet connection is required. If you have already downloaded , Choose other option. Enter the below details and click Next. 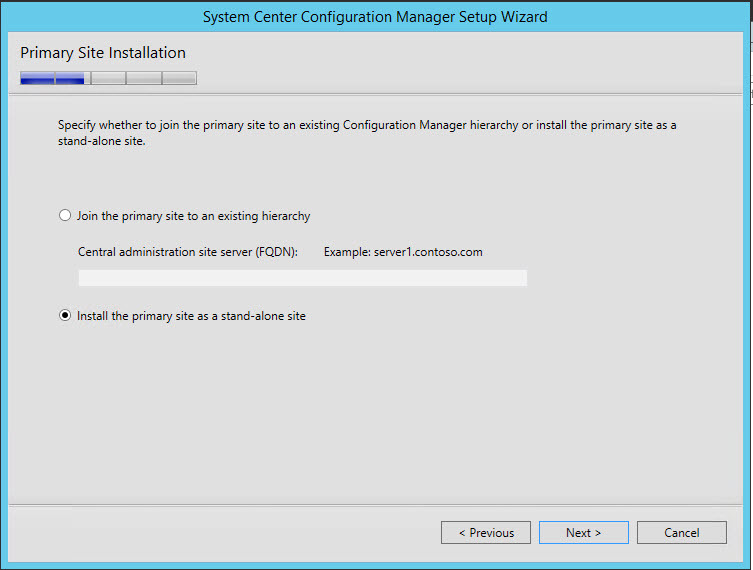 Choose to install Standalone primary site. 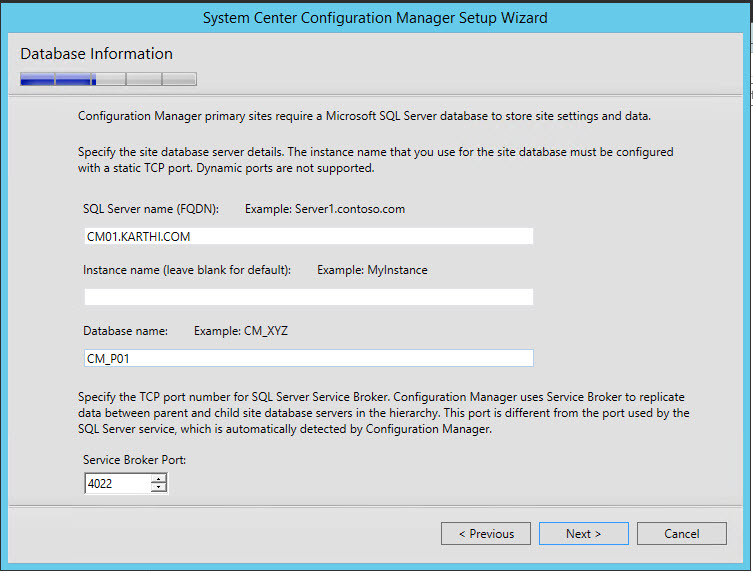 SQL server name & Database name will get automatically specified if SQL & SCCM are in the same server. click next. 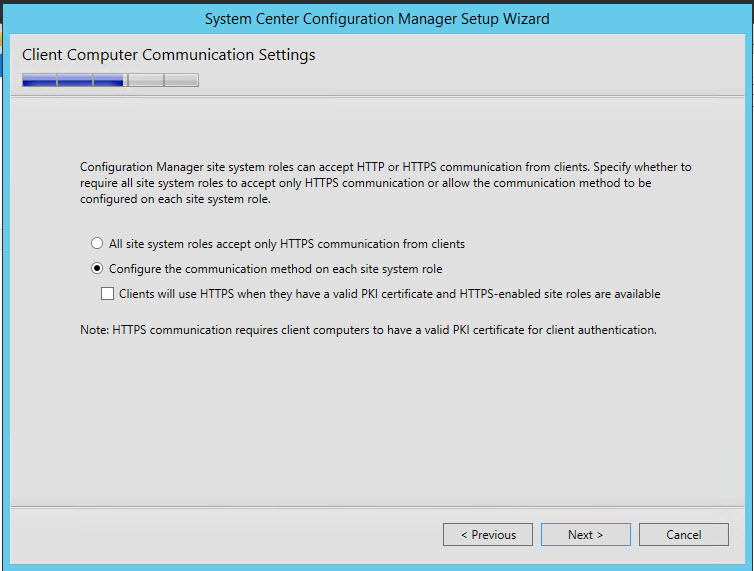 Choose second option to configure communication method on the each site systems. 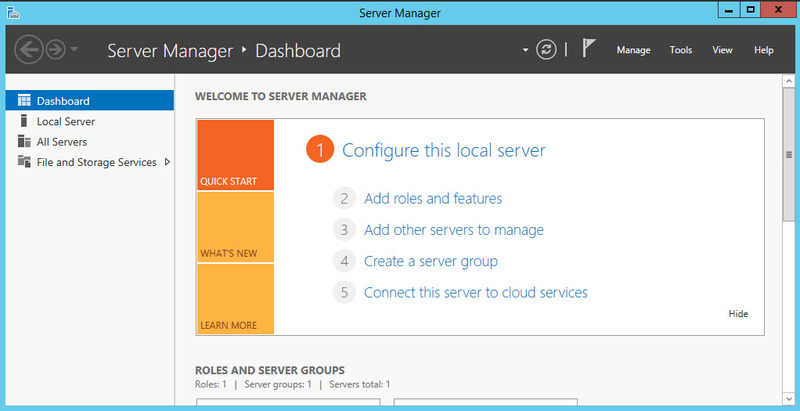 Management Point and Distribution Point roles will be installed on the site server by default. 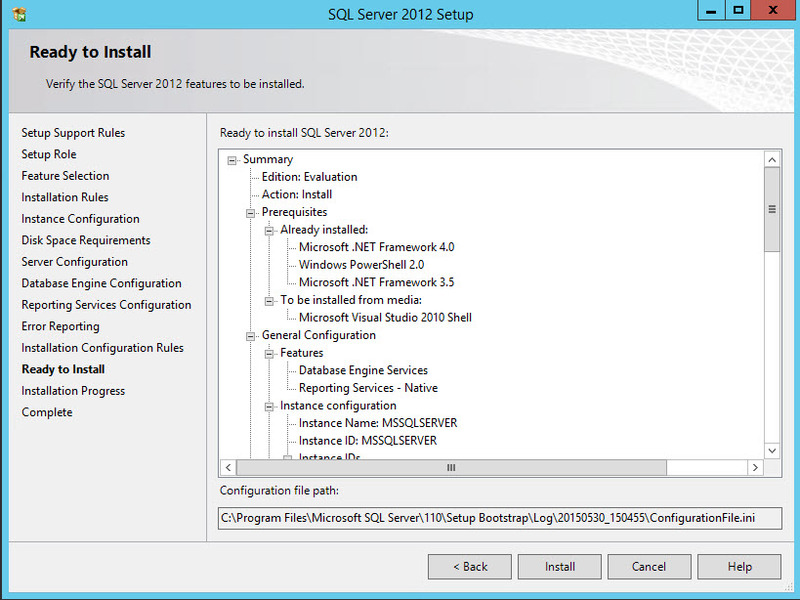 Once Prerequisite check verified, Click Begin install to proceed with installation. 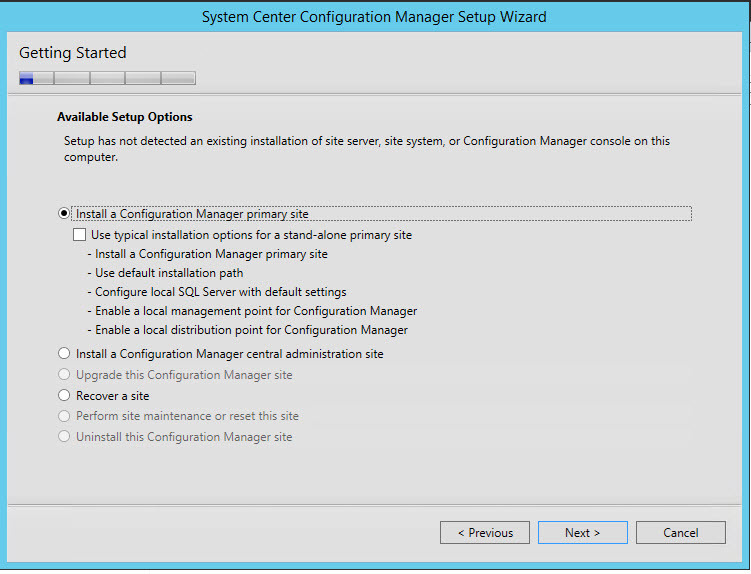 SCCM 2012 SP2 Stand-alone primary site installation is now completed. 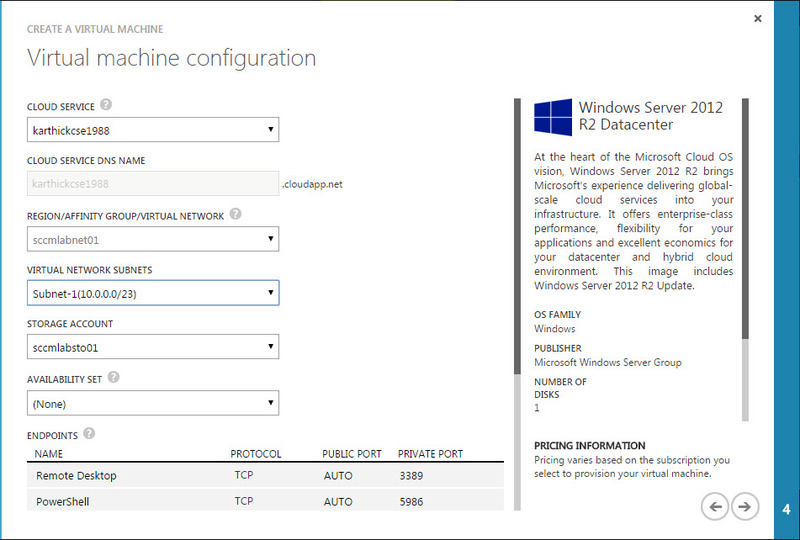 Under Administration node -> Site configuration -> Sites.